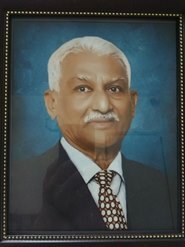 Obituary : Cyprian Sequeira (84), Thane/Barkur, S/o Monthu/Elizabeth Sequeira(Barkur), Husband of Olive Sequeira, F/o Catherine/Lenus, Rohan/Janet and Aldrin/Mabel left for heavenly abode on 6th August, 2018. Funeral cortege leaves residence Kapilavastu CHS, Kolbad, Thane at 3.30 pm for St. John the Baptist Church, Jambli Naka, near Masunda Lake, Thane West. Mass at 4 pm.